If you know me, you know that I love maps and charts. My friends in Burlington, Vermont and I started a Map Club (which was usually followed by a Nap Club), where we shared and made all sorts of maps--Sound Maps of the Hudson River, Maps of Shaker villages, and memory maps of our old neighborhoods. I also curated a "Map Edition" of our old collaborative literary journal/zine The Dovetail Collective and cite this book as one of my all-time favorites. 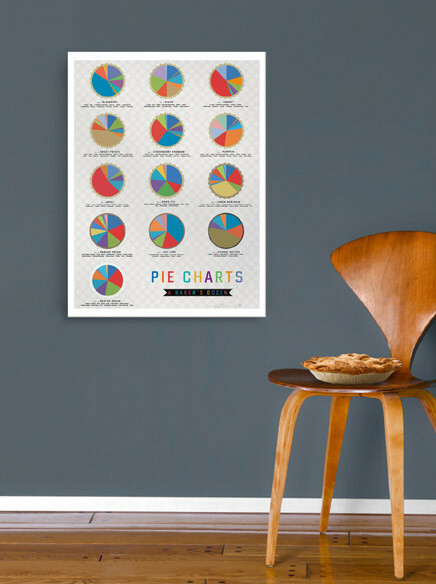 So of course I was jazzed when a fellow pie fan shared this pie chart poster by innovative Brooklyn chart makers Pop Chart Lab. Their mission as a company is to "render all of human experience in chart form," and of course, pie is a crucial part of (at least MY) human experience. 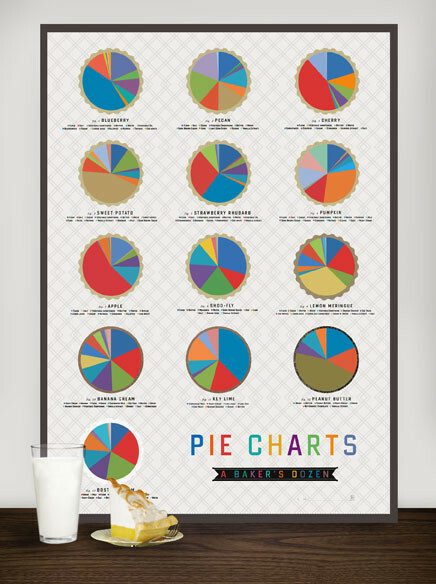 Their Pie Charts: A Baker's Dozen depicts, in pie chart form, accurate ingredient portions of a baker's dozen of classic pies. You can check it out (and purchase it for yourself--it's on sale!) here. As they say at Pop Chart, "data meets design meets delicious."